Jerry Harwin, a centenarian who parlayed a successful business into active support of parks and recreation in Santa Barbara, died Sunday night, July 1, 2012, at Serenity House. He was hale and hearty when he celebrated his 100th birthday last October 22, but he came down with pneumonia in January and never fully recovered, according to his son Joel Harwin. Born in Fargo, North Dakota, Jerry Harwin migrated west and attended the University of Southern California, but could not afford to stay because of the Great Depression, and entered his family’s jewelry business. 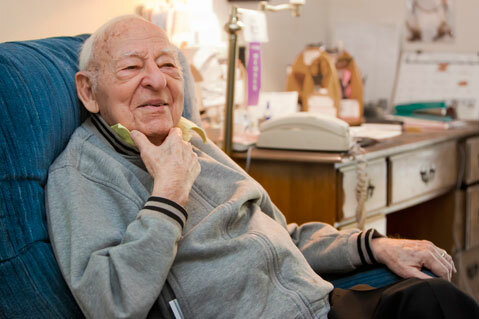 He came to Santa Barbara in 1944 and opened Harwin’s Jewelry, a local institution for 63 years. One of his major legacies is Elings Park, the former landfill that was transformed into a recreational site under his leadership (the access road is named “Jerry Harwin Parkway”); and the Santa Barbara Athletic Round Table, an organization that he co-founded to support local sports teams and athletes. An avid dancer, he lived out his last years at the Maravilla Senior Living Community in Goleta.